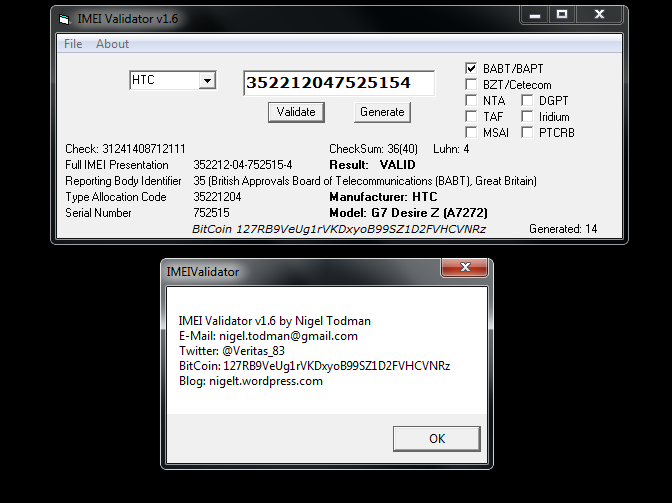 digits of your IMEI along with your Make/Model of phone. It will be detected in the next version. ← Mass Arrests already started? Here’s 150 of them. I was wondering where you get the tac code database from? Or at the least how often you update it? Your links appear to be dead for the download of the generator and the source code. Any chance those can be re-uploaded?